Google from its inception in 1998 has been trying to provide the best search results. Their continued effort in this direction has led them to get the lion share of search market of 92.47%. Some people try to game the search results. They may try different tricks to be in top results or hack other sites so that when users find such sites in search results and visit them, they might be tricked by the hackers. 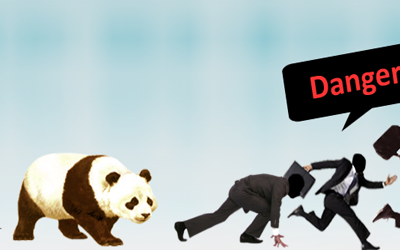 Google terms such behaviour as webspam as these violate their Webmaster Guidelines and has always tried aggressively fighting against such activities. Google knows they can’t save a site from hacking but they do try to catch such sites that have been hacked so that users can be warned against such sites when these sites appear in search results. To provide the best search experience to users, Google is trying hard to ensure least number of such spammy pages appeared in search results. In 2018, they succeeded in keeping this number under 1 percent of total visits. As per Google, hacked websites remain a major security threat to web. 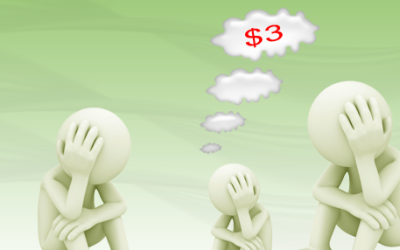 Hackers with different technique spam others’ websites with malicious codes to promote their own content, products or links to trick the users visiting the sites. Ironically, most of the time the owners of such hacked sites don’t have clue that their websites have already been hacked. Google knows this fact and hence to help the webmasters, when Google finds such sites, it immediately sends warning message to their Search Console accounts. Two screenshots of such messages are here. The message is just not a warning but contains proper guidelines like sample of affected URLs, how it can be fixed etc. Once the webmasters fix the issues, they can submit a request for review. Once Google completes the review and finds it clean, it again sends a message like this. This process may take time and in between if a user visits this site from search results, one may get deceived. So, to protect visitors, Google shows a warning message “The site may be hacked” in search results like this. Once the webmaster successfully cleans the site and submits it in Search Console for review, Google reviews it again. If the issues have been resolved, Google removes the warning message from search results. 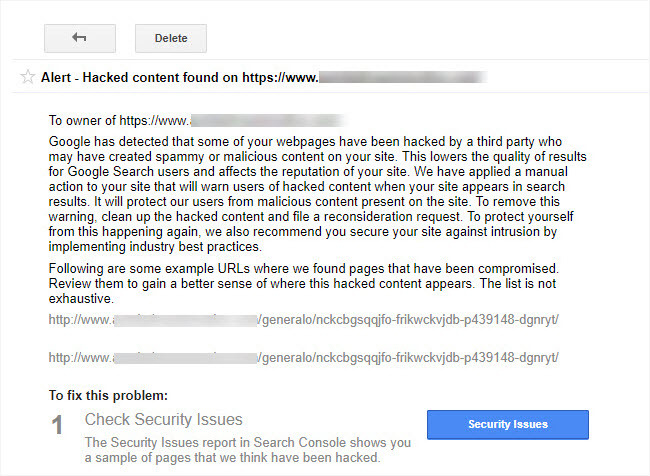 Google does have an in-depth step-by-step guideline to assist webmasters on hacking issues here. Forums, blog comment sections, free blogs & other platforms are great place where users are able to share valuable info & thoughts. But spammers keep filling up these sections with useless content, links etc. that don’t add any value for others. Rather the other users might be deceived by such harmful content. This is termed as user-generated spam and is a great concern for Google. Google ensures such platforms infected with user-generate spam should be kept away from appearing in search results. As per their report, in 2018 they were able to reduce the impact on search from search spam by more than 80%. 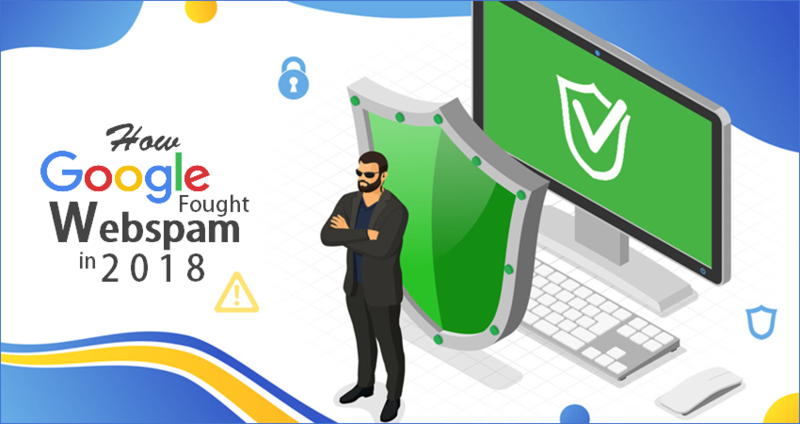 If you are the owner of a such a forum or blog that is infected with user-generated spam, you may get message from Google so that you can take action against the issues. 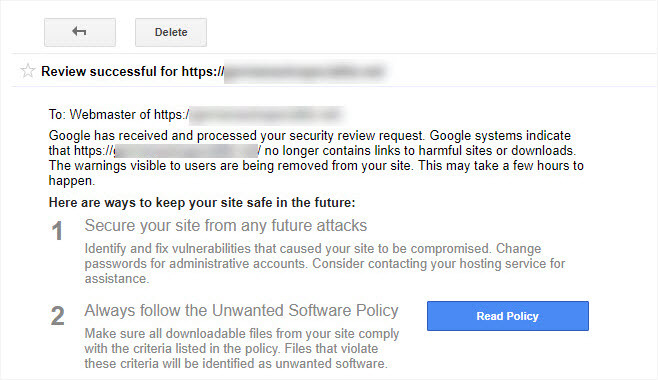 Google has a great post here to guide you how to keep safe your platform from such spam. Links are one of the top three ranking factors in Google search algorithm. In fact, link is the base of their PageRank algorithm. But since the beginning, spammers are trying to manipulate this by creating unnatural links for their sites to improve ranking in search results. So, Google has since long started its battle against such link building techniques. In 2012, they brought Penguin update to address link spam and since 2016, Penguin has been working real time. But still spammers come with new ways of unnatural link building techniques and Google is aggressively fighting against them. Like other years, spammers came with newer challenges in 2018 and Google has effectively fought against them by refining its search algorithm to weed out sites with unnatural link patterns from search results. Google received 180000 search spam user reports & took action against 64% of these. Google generated around 186 million of reports for webmasters on potential issues & developments that would affect their performance in search. Out of these 96 million of reports were delivered to webmasters registered in Search Console. They rest are to be delivered when those sites will be linked to Search Console. Around 4 million messages were for manual actions due to violation of Webmaster Guidelines. Google Search Console has been completely rebuilt with new features. With new features of Lighthouse, Pagespeed Insight became more helpful to developers providing additional data to improve the performance. Mobile first Indexing was introduced to improve search experience in mobile devices. Google team delivered more than 190 online office hours, online events and offline events in more than 76 cities, to audiences totalling over 170,000 including SEOs, developers and online marketers. Google hosted four search events in Tokyo, Singapore, Zurich and Osaka as well as an 11-city Search Conference in India. You can see how Google has been taking action against spam & helping webmasters & markets from their earlier webspam reports.